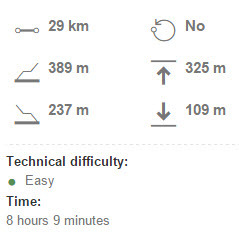 Today’s 29-kilometer walk can best be described as sunny and cheerful. It was a warm, spring day with plenty of sunshine. The path was very easy to follow, flat and pastoral. 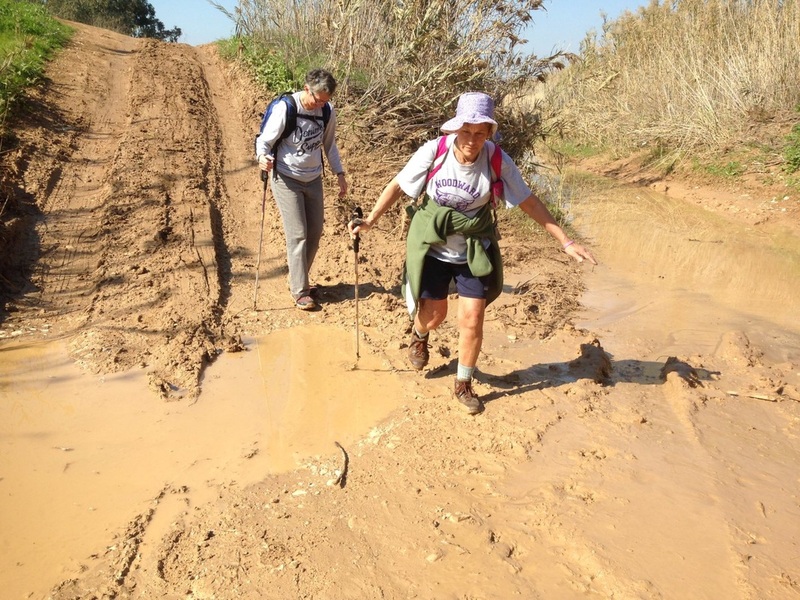 We started outside Kibbutz Amassa and squelched through mud until we met up with the official shvil. This part of the country is described as a transitional zone between the Sharon Plain and the Negev Desert. Walking in February after heavy rains, one could think they were in Ireland or Canada. 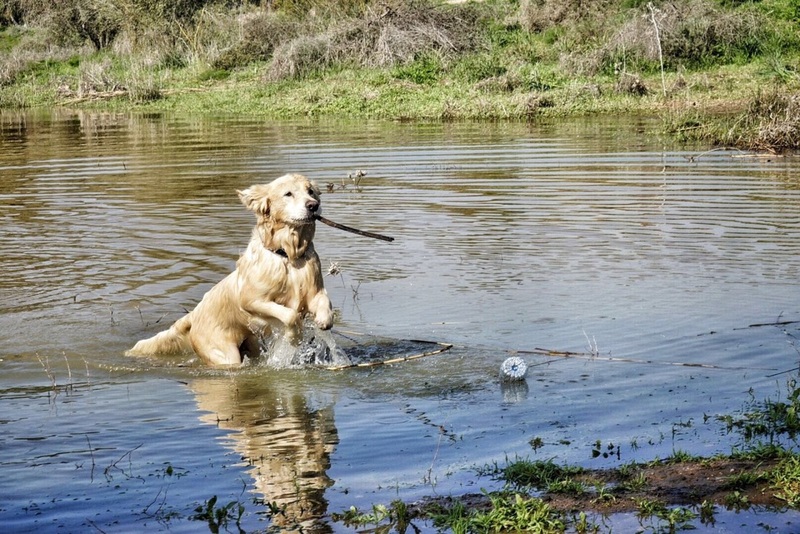 We were a group of five plus our mascot TJ who just loves mud! We crossed under Highway 40 and followed the shvil west and then south into open fields of verdant green. 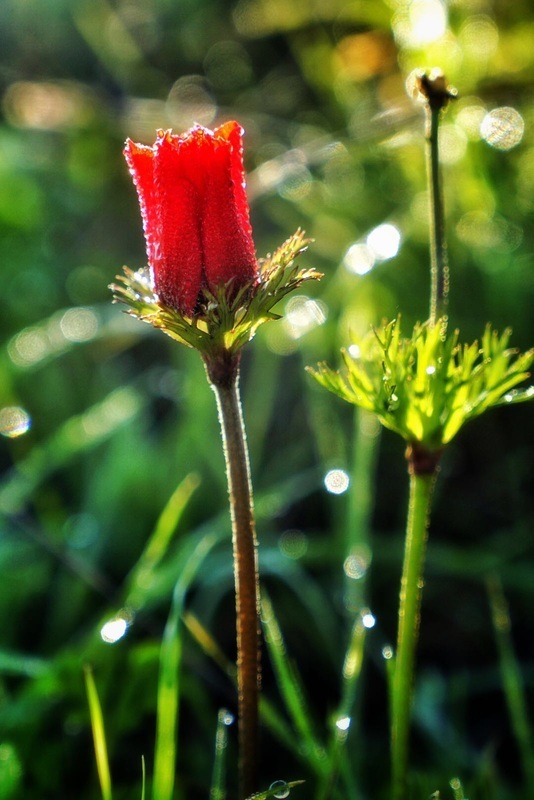 The spring flowers were blooming, including the favorite red anemone coronaria which is not to be confused with the poppy! 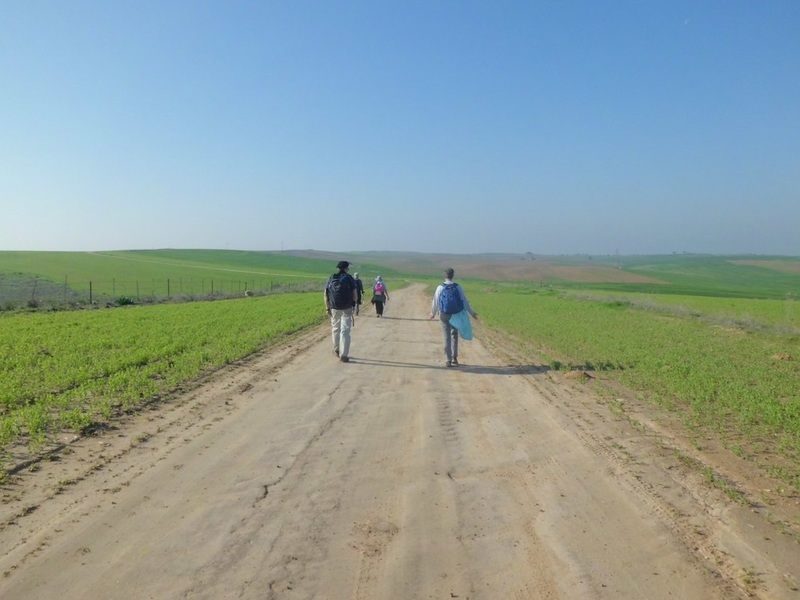 We walked along fields with no settlements in site and came to the edge of the beautiful Nahal Shikma river which we then followed. 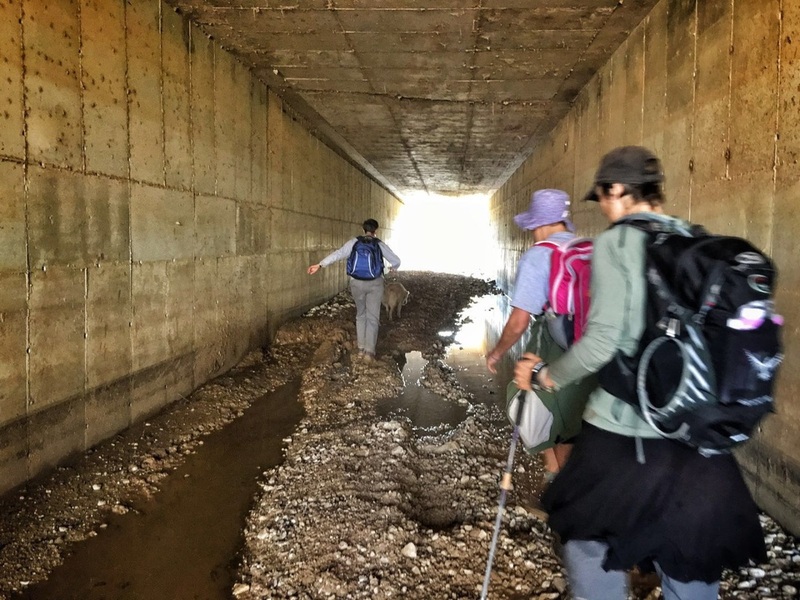 We walked up to Tel Nagila, an archeological site that dates back to the Bronze Age and then followed the path until we arrived at the ruins of a destroyed bridge that was once a part of the Turkish Railroad. 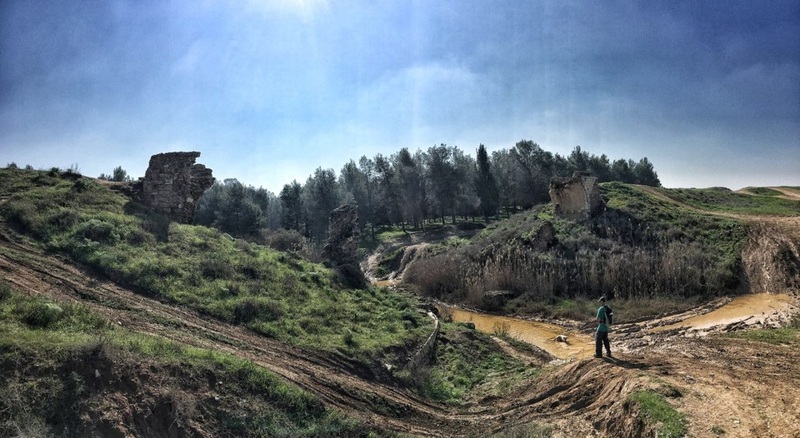 This was originally built during the First World War and linked Lod with Beersheva. Floods destroyed it in the 1970s. Just past this was the Pura Nature Reserve, which has the remains of an old village called Pura. There is a small seasonal lake filled to the brim from the winter rain. Very peaceful, with the sun glistening atop the water and birds singing in the rushes, it would have made a great picnic spot. But it was too early for lunch, so onward we trod, passing the parking lot of the Pura Nature reserve and then hugging Highway 40 until we passed under it a second time, trying to avoid mud and water by hopping across precarious rocks. We then continued south alongside a shallow gulley planted with pines and eucalyptus with the highway to our west. 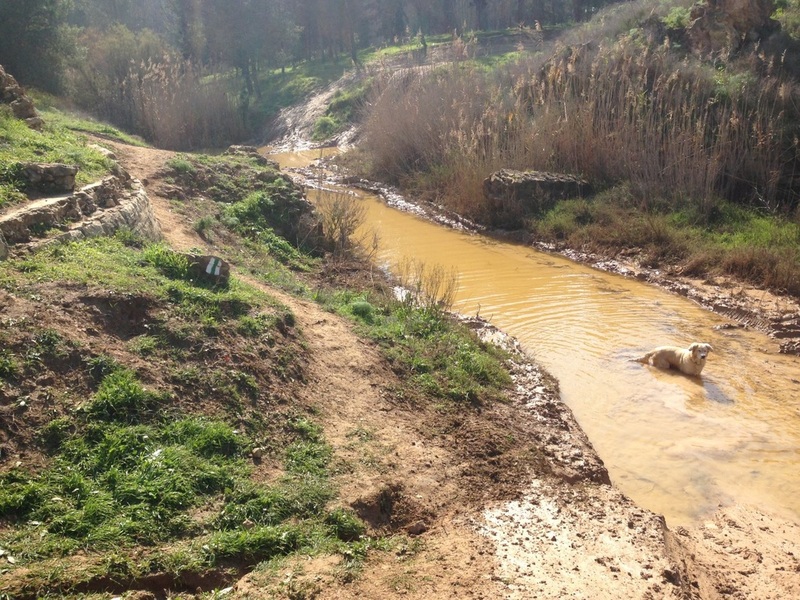 It looked more like a Canadian ravine than southern Israel. The trail continued flat and gentle, ideal for biking. 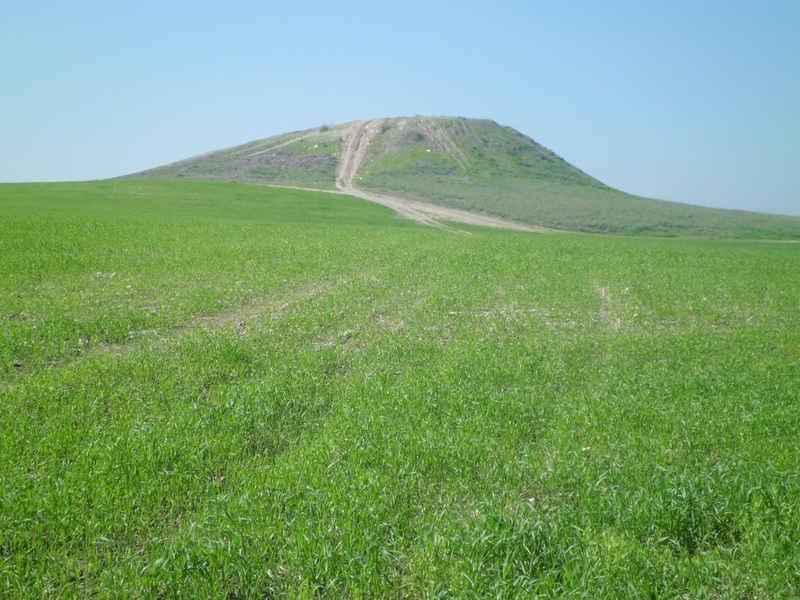 We soon saw the cultivated fields of Kibbutz Dvir, (also known as Dvira) named after the biblical city of Dvir that is in the area. "and Holon with the open land about it, and Debir with the open land about it"